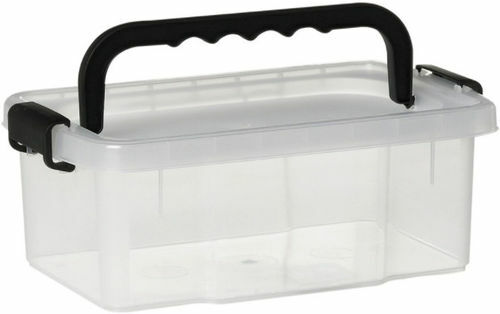 A practical container with a lid to store items in your home or garage. Transparent bottom and cover allow you to quickly assess the contents of the box. Two clips on the sides tightly close the container to securely store items. The convenient handle allows you to move and transport the container freely depending on your needs.